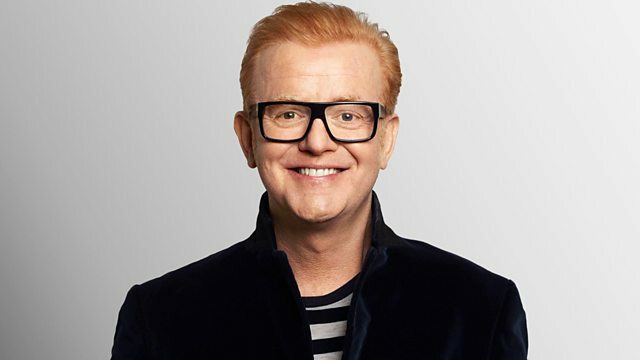 On the first day of Chris's BBC Children In Need auctions he takes bids for the Ultimate Christmas Party with Rick Astley and the Ultimate Office Christmas Lunch with Rick Stein. It's the first day of Chris' auctions for BBC Children In Need! We take bids to celebrate Christmas with Chris and the team at a party like no other. With 500 pairs of tickets to the Ultimate Christmas Party to auction off, Rick Astley stops by the studio to share the secrets to his sensational set list. Our lucky winners and a guest get an invite to the best Xmas Party in town on Monday 18th December 2017 - to see Rick Astley live at a special gig all in aid of BBC Children in Need at Camden's iconic venue - Koko. Also on the bill will be the best tribute band around The Lionels, and our very own Chris & Jumpin' Jimmy Flash on the decks of steel. And we auction off the ten tables for six at Rick Stein's newest restaurant in Barnes for The Ultimate Office Christmas Lunch. Hosting the Lunch along with Chris and the Breakfast Show Team will be the Queen of Baking Mary Berry, the Absolutely Fabulous Joanna Lumley and the ace Judy Murray. Dave Tomlinson provides the Daily Pause For Thought, Kids For A Fanfare Mia reads us her moving Remembrance Day poem and we hear from Max, Kion and Rachel who benefit from Children in Need funding. Joanna Lumley calls Chris to help launch the Children in Need auctions 2017! 15th Anniversary Music Celebration (Various Artists). Back To The Eighties (Various). Back To The 70's (CD1) (Various). Rick Astley - Whenever You Need Someb. Pause for Thought:"Every one of us experiences joy whenever we help another person or contribute to their wellbeing." It may seem a bit odd to say, but I’m very proud of our church toilets – mostly because each one is twinned with a toilet elsewhere in the world, and has a plaque to say so. It’s part of a scheme in which the children of St Luke’s raised the money to provide lovely clean loos in schools in Sierra Leone, Pakistan and Nigeria, which couldn’t afford them. So our toilets are twinned with them. In recent years, our annual Nativity Play has also been the focus of children’s initiatives to help kids in other parts of the world. Last year, one of the magi’s gifts for the Christ child was a mosquito net because a youngster dies of malaria somewhere in the world every 60 seconds and a £3 net could help prevent that. St Luke’s children co-opted baby Jesus to help get the message across – to raise money in a packed church for more nets. The enthusiasm of young people to support those in need gives me real hope for the future. And I love the flair and imagination they bring to the task. In large part, this is down to initiatives like Children in Need that help to make compassion popular, doable and fun. Jesus said it is more blessed to give than to receive. But we don’t need Jesus to tell us this. We know it’s true. Every one of us experiences joy whenever we help another person or contribute to their wellbeing. A long time ago, when our children were young, we asked them if they’d delay having Christmas lunch to first join us in serving a Christmas meal to people in a homeless shelter. After the predictable grumbles, everyone agreed…and had the time of their life! I’m certain if you asked them which was their favourite childhood Christmas, there would be no competition. Children in Need not only channels vital resources to vulnerable youngsters around the world, it also helps to nurture a vital culture of compassion, generosity and justice among youngsters in general. Can’t say better than that!